Inspire Create Stamping Challenge #012 Wild About You! The Inspire Create Stamping Challenge blog hop runs every other Wednesday and this time we have an animal theme! Hop over to visit the Inspire Create Stamping Challenge Here, to see what the other talented crafters on the Design team have come up with for this challenge and also all the other entries too. Do play along. It's a lot of fun! I love the little animals in the Pick a Pattern DSP and thought it would be perfect for this challenge. I am going to a big team event the weekend before this blog hop and am taking part in a swap group. They are small groups of 6 and the theme for our group is Love! Hence the Wild About You! The Designer Series Paper has all these cute little animals on. You can get 6 card fronts from each piece of 12 x 12 paper, so very economical too. I originally bought the paper to use in my scrap booking but it's perfect for cards too. Here is my You Tube Tutorial of how I made it. The DSP layer is 14.3 cm x 10 cm. I have die cut the ovals from scraps of Crumb Cake, Flirty Flamingo and Whisper White card. 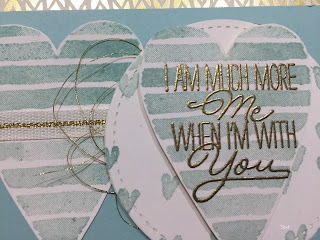 I have used Gold Embossing Powder on the stamped "Wild About You". Do you see the cute little characters I have cut from the DSP? I have also added a few gold sequins to the front of the card to add a little sparkle. I have taken the inside sentiment from a stamp set called Layering love. How sweet is this little bear from the Pieces and Patterns stamps! I can't wait to see what the rest of the Design Team have come up with for this sketch challenge. Visit the Inspire Create Stamping Challenge here. You can see all the projects by the design team, all the entries and also join in. Do play along. We'd love to have you. All the products I have used are shown below in the clickable links that will take you to my online store. 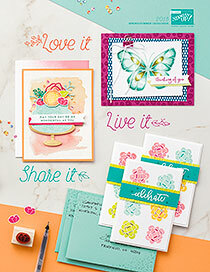 Saleabration is going on until the end of March which means you can get stamp sets for FREE! Visit my shop HERE to see how. Sale-a-bration Sunday! Ombre Stamping Birthday Card! Woohoo! It's time for Sale-a-bration Sunday! This week I have a Birthday card with the Amazing You stamp set. Saleabration runs for 12 weeks until March 31st which takes it right up to British Summer Time on March 25th marked by the clocks going forward bringing in the lighter evenings. I am SO looking forward to that but in the mean time we can craft the winter away. Win/Win! My card base is in Bermuda Bay card stock. A4 cut at 14.8 cm and scored at 10.5 cm. 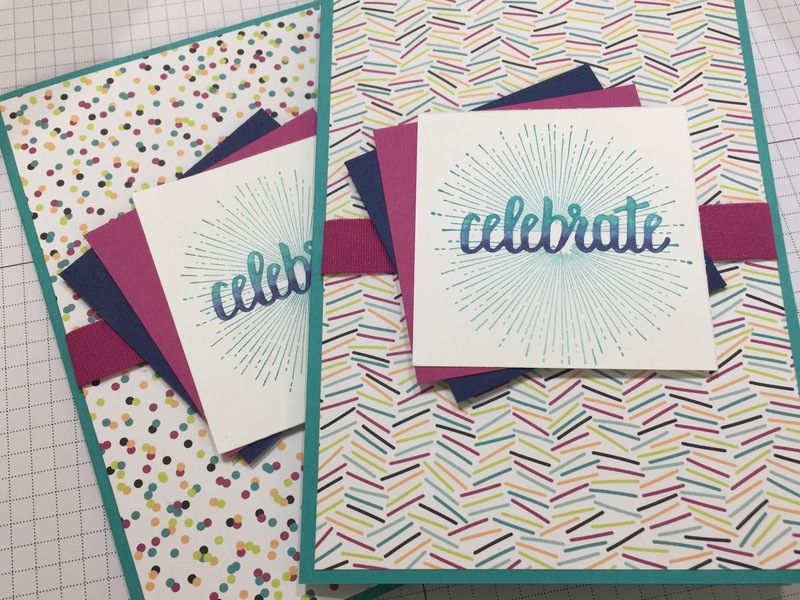 The Designer Series Paper is from the Picture Perfect Party Paper Stack. Cut at 14.3 cm x 10 cm. The ribbon is Berry Burst and the squares are 2.5 inches in Berry Burst, Night of Navy and Bermuda Bay. I love this star burst stamp! I have used Stampin' Write Markers to create the ombre effect with the Celebrate stamp. I have used Bermuda Bay, Marina Mist and Night of Navy. I used the stamp in a similar way in my last Saleabration Sunday post. You can see it Here. Its amazing how using it in a different colour way gets such different results. Here is the You Tube tutorial showing how it's done. I decided to make it into a birthday card so have stamped the inside sentiment from the Picture Perfect Birthday stamp set in Berry Burst ink. These colours with this stamp shout Birthday to me. 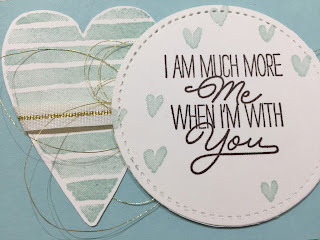 I have used this Amazing you stamp set from Saleabration for so many projects and it was the focus stamp set for my class last Friday he ladies attending made such beautiful cards! It has such versatile stamps in it. If you purchase the combination of items I have used in my card you will earn the Amazing You stamp set for FREE! and will also have lots of very useful product for loads more projects and cards. Click on the images to see the details and to go to my online shop. I really hope you like the card. Sale-a-bration Sunday! Stamping with Stampin' Write Markers. Amazing You! Woohoo! 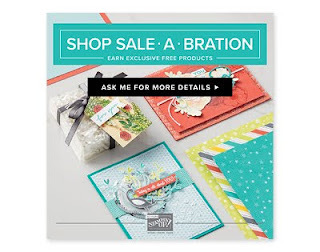 It's time for Sale-a-bration Sunday and this week I have paired the Amazing You Salebration Stamp set with Stampin' Write Markers. I just love the images in this stamps set. So pretty and also useful for loads of different occasions too. I wanted to colour the different parts of the flower so I put my Stampin' Write Markers to good use. I chose the 2017- 2018 In Colours for this card. They make a great combination. You can see how the card stock, inks and ribbons all match perfectly. I have used the Fresh Florals Designer Paper too in Powder Pink. Can you see it peeking out? The In Colours are from right to left : Fresh Fig, Tranquil Tide, Powder pink, berry Burst and Lemon Lime Twist. The only colour from these I have not used this time is Lemon Lime Twist though I do love it alot! The markers are dual tipped and I have used the brush end to colour in the stamps. Such an easy thing to do. I haven't used any ink pads on this card. Not one! So you can see how versatile they are and perfect for building up your stash or very economical if you are starting out. These pens have so many uses, they are great for water colouring too and can also be refilled very cheaply using the matching re inkers. I created the ombre effect by colouring on the Celebrate stamp in different colours. I hope you like the video, please give me a thumbs up and subscribe if you do. If you purchase the combination of items I have used in my card you will earn this stamp set for FREE! and will also have lots of very useful product for loads more projects and cards. I have included the Fresh Florals papers in the matching colours. It is a stack of 40 sheets of 12 x 12 double sided papers and they are gorgeous. Click on the images to see the details and to go to my online shop. I really hope you like the card. Heart Happiness Valentines. 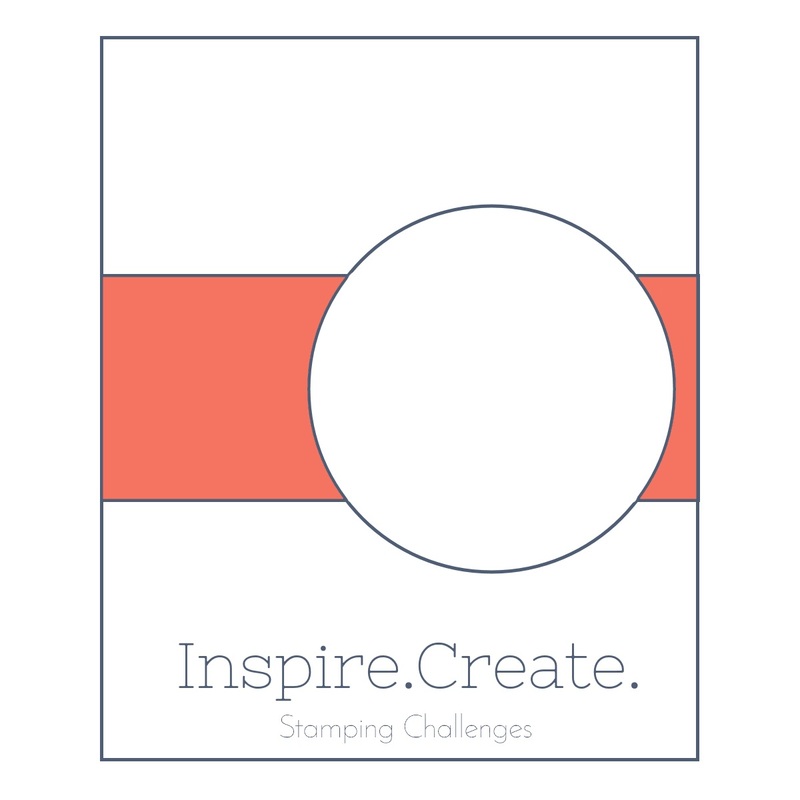 Inspire Create Stamping Challenge #011! We have a sketch challenge at the Inspire Create Stamping Challenge this week. There are so many pink Valentines cards, I wanted to make one a little different, that you could easily give to the man in your life. so I pulled out the Pool Party ink. I love the Bundle of Love Designer Series Paper. It is so versatile and makes a card very special. I pulled the Very Vanilla card, the Pool Party and the Gold foiling on the DSP together by using some of the Vanilla Gold trim and a little Gold heat embossing. I have pulled the sentiment from the stamp set Layering Love. I prefer it to "Happy Valentines Day"
Here is the You Tube Tutorial for this card. I hope you like the video. If you do, please give me a thumbs up and subscribe. Dimensions: Card base is Very Vanilla. A4. Cut at 14.8 cm and scored at 10.5 cm. DSP layer. Bundle Of Love is 14.3 cm x 10 cm. Pool Party layer is 10 cm x 7 cm. I cant wait to see what the rest of the Design Team have come up with for this sketch challenge. 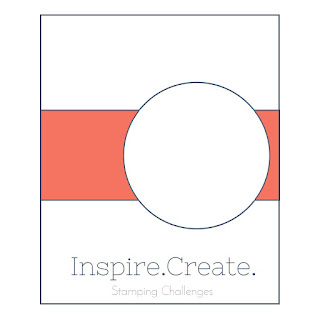 Visit the Inspire Create Stamping Challenge here. You can see all the projects by the design team, all the entries and also join in. Do play along. We'd love to have you. The Stampin' Up! Starter Kit, What It's All About! I guess that if you are here reading this then you are a paper crafter. You might make cards, you might be a scrap booker or like to make pretty gift boxes or packaging. You may be new to it and want to do more. Whatever you do, if you are anything like me you get excited by gorgeous patterned papers, new stamp sets and paper crafting products. This is a little different from my usual post . 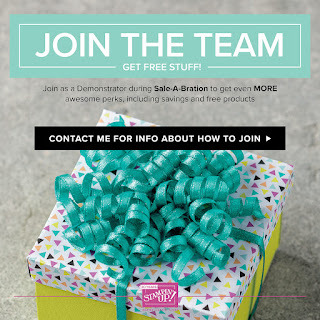 I want to share with you the joining offer during Saleabration. I alway share it at the bottom of my post but during Saleabration it definitely needs a post of it's own to tell you more. What is the joining offer? So, the joining offer during the Saleabration promotion period is: £130 of products of your own choice from the Annual Catalogue or the Spring/Summer Catalogue. Plus, another 2 stamp sets of your choice up to the value of £90. This comes with free shipping worth £4.95 too. So that is a £224.95 spend for just £99! Stampin' Up is for everyone! You can do it as a hobby, no obligation to sell or demonstrate the products to anyone, just enjoy all the demonstrator perks and continue to enjoy the ongoing discount on amazing products. You aren't tied into anything. There is no obligation to buy anything further if you don't wish to. 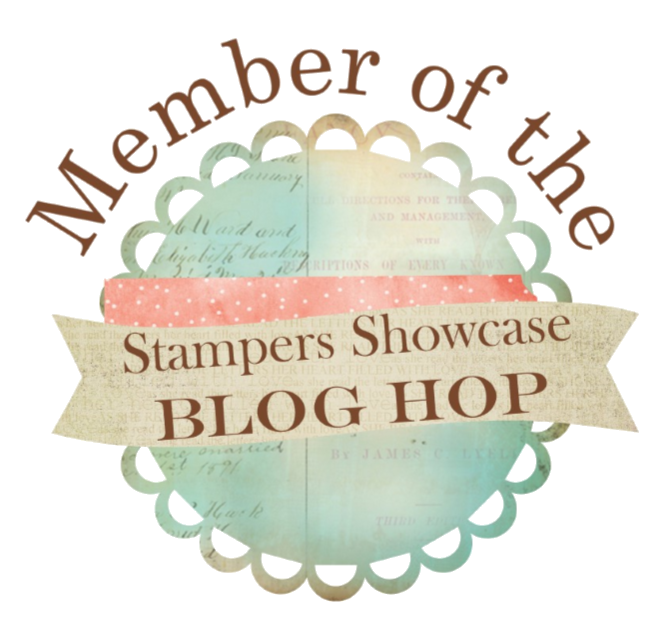 To remain part of Stampin' Up! there's a small quarterly minimum to reach either by buying products for your own use , or if you run as a business through your sales. The quarterly minimums are the same for all, as are all the perks and opportunities on offer. If for any reason you don't reach your minimum or you decide it's not for you then there's no problem. Your demonstrator status will just drop at the end of the quarter. You can revert to being a customer if you wish to. Stampin' Up! make it easy for us. They are celebrating 30 years this year - and the reason they are so successful? They are a family orientated company who value their demonstrators. I am celebrating my second year with Stampin' Up! this month. After being a customer and falling in love with the product I wanted the discount the joining offer gave me. I had literally no idea what more there was to it. I'm still completely in love with the products but there is so much more! I'm part of the most amazing paper crafting community. I regularly travel to lots of training events with my wider team, they are entirely optional but I go to all I can. We share ideas, we craft, we laugh and we support each other and I always come back inspired, refreshed and my cup refilled. I go to demonstrator only convention twice a year, see all the new products and catalogues months before they are released, get to pre order them and enjoy all the perks that customers get too. I 've been to events all around the UK, been to Amsterdam and this Autumn will be going to convention in Orlando Florida! We get spoiled at convention by Stampin' Up! and come back with loads of freebies and merchandise too! Charity event for Ronald McDonald House Charities. I get access to the demonstrator only web site, which keeps us continually updated, and informed. It has a Stampin' University too, full of all the information you could need. I have a quarterly Stampin' Up! demonstrator magazine full of inspiration delivered to my door. I run as a business demonstrator and I am currently at Silver status working towards Silver Elite and my first incentive trip. I have a growing team of demonstrators which is amazing. A mix of hobby and business demo's. It's absolutely brilliant to share our Stampin' Up! journey, share ideas and travel to events together. I like to look after my team , and offer support and training. 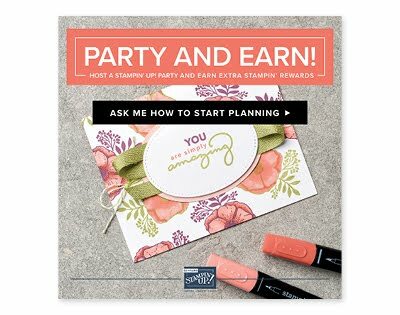 There are so many opportunities with Stampin' Up! and I'd love to share them with you. So whether you would like to join Stampin' Up! for a business opportunity or as a hobbyist to get a discount and fund your paper crafting hobby why don't you give the starter kit a test drive? You have nothing to lose and so much to gain! Win Win ! Wherever you are in the UK I would love to have you in my team. Get in touch to have a chat to see if it's right for you or Join Here. You can see all the T's and C's there too. Make the most of Saleabration , fill you wish list and get the best deal in the catalogue with the joining offer. Sale-a-bration Sunday! 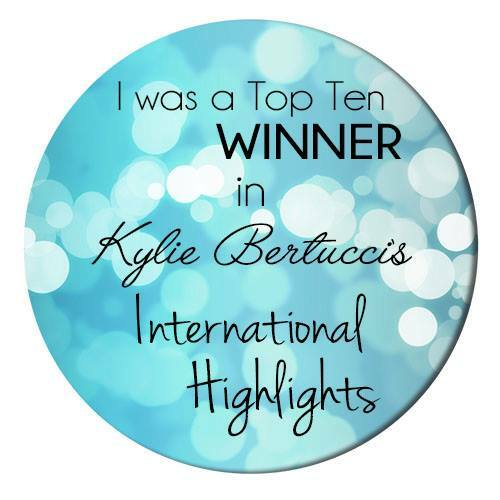 Sweet Soiree Memories and More! Woohoo! It's time for Sale-a-bration Sunday and this week I am using the Sweet Soiree Memories and More Card Pack. 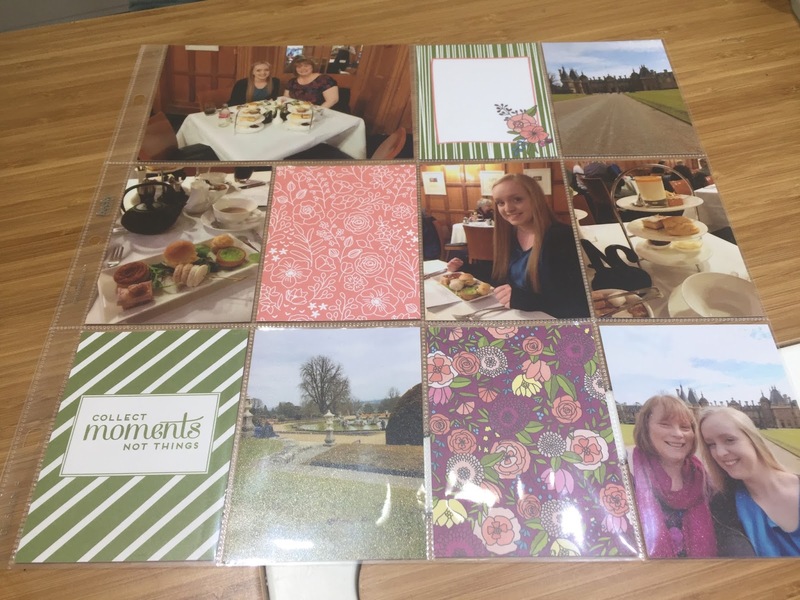 Pocket page scrapbooking is a quick and easy way to make beautiful scrap book pages, getting your photos off devices and into albums you can flick through. You can make your pages as simple or elaborate as you like. My double page layout is of a weekend away to Oslo we had in December 2016. We went as a big group of friends, there was lots of laughter and a lot of memories were made. I cut the title out of matching Calypso Coral card stock using letter dies. 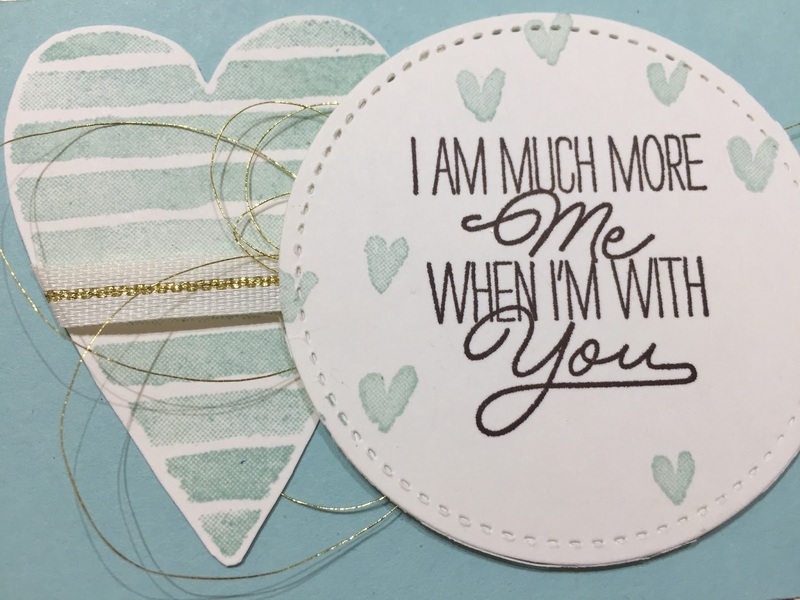 All the Memories and More cards match the Stampin' Up! colours of course taking away all the guess work and makes it so easy. Here is my You Tube video showing how easy it is to put these pages together. It is so easy to add memorabillia to the album. It is honestly so easy to put an album together of a holiday or event and so much nicer than a photobook or worse, leaving them on the computer or phone never to be seen. These Sweet Soiree cards are free in Saleabration! Each pack has 72 double sided cards. 2 of each design. I split my pack and gifted half to my lovely sister who made a layout with them straight away! A beautiful page of her afternoon tea with my lovely niece! We have used the same card pack on both of our very different pages and I love them both! And you can get this set of Memories and More cards for free during Saleabration. You don't need a huge array of products to get started with Memories and More scrap booking. An album, some pocket pages and a card pack. Don't forget your photos of course. 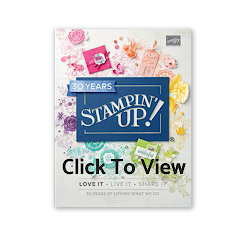 All of the products are available from Stampin" Up! in my online shop. I have listed all the supplies below. This is literally all that you need to get started! If you added in one of the other Memories and More card packs at £9 for a 72 card pack, you would qualify for a Saleabration item which means you could have the Sweet Soiree pack I have used in my lay out for free! It would keep you going for ages!